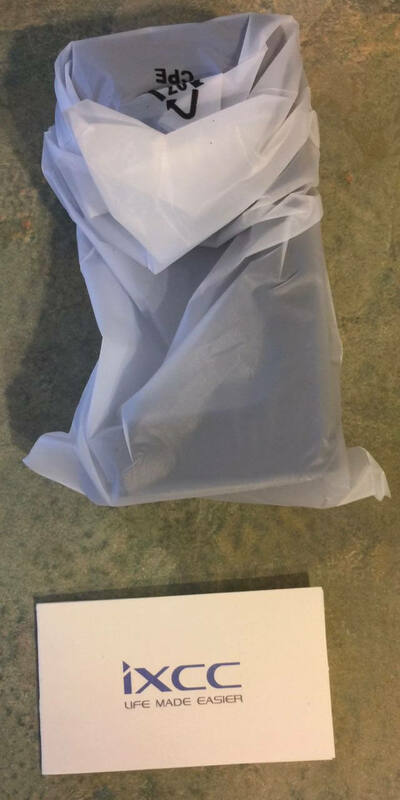 Earlier this year, I bought a refurbished Apple Watch Series 2 from the online Apple Store. It’s a cool device. But it shipped with the bare essentials, including the watch, a small manual, and a magnetic battery charger. And doing that technically works. But it’s kind of an inelegant solution. It also looks just plain awkward. 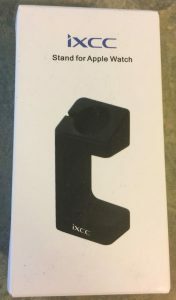 That’s why I was excited to receive an iXCC Stand for Apple Watch. 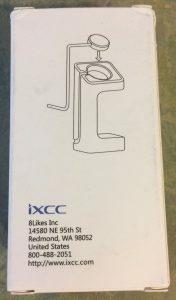 The manufacturer of the stand recently sent me a review model in exchange for posting my thoughts on the device here at Geek News Central. The iXCC Stand for Apple Watch works with both 38mm and 42mm Apple Watches (I have the 42mm version). 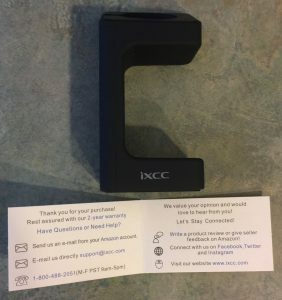 The iXCC Stand comes in a white box that contains the stand and a small booklet that shows how you can connect with the manufacturer online, if needed. It takes a little time and effort to get the magnetic adapter cable to slide into place. But once it’s in, it’s good and doesn’t feel like it’s just going to fall out of place. When that’s done, all that’s left to do is to place the Apple Watch onto the stand. Tuck the lower part of the watch band underneath the head of the stand, and the Apple Watch easily magnetizes to the charging adapter. That looks a lot better than just resting the watch on the table! 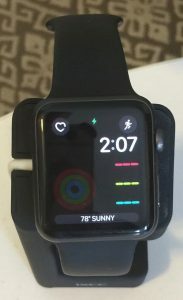 I know for sure the watch is charging because the charging indicator is lit on the watch, and the watch also made its signature charging tone when I placed it onto the stand. The only negative I’ve found with the design of this stand is that, when you go to remove the watch from the stand, the magnetic adapter slightly pops out of the stand. But it’s easy enough to just push it back in. 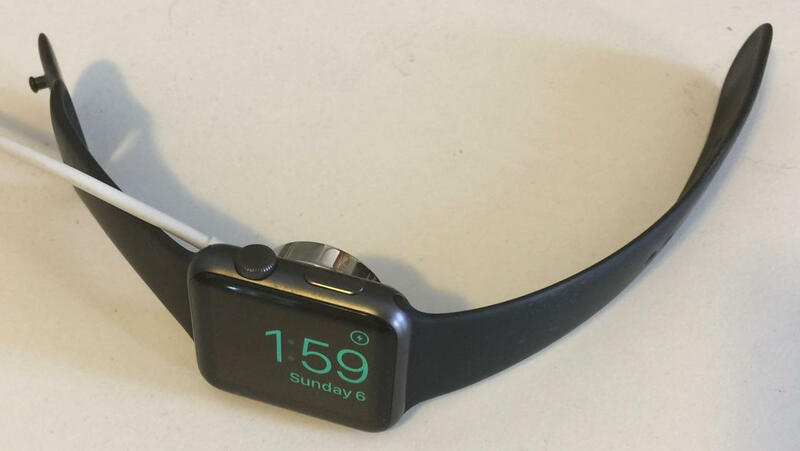 Also, it might be possible to alleviate this condition by placing some pressure down onto the stand next to the watch with one hand while removing the watch from the stand with the other. Overall, I’ve found this to be a simple and effective stand for charging and displaying my Apple Watch when the watch isn’t in use. 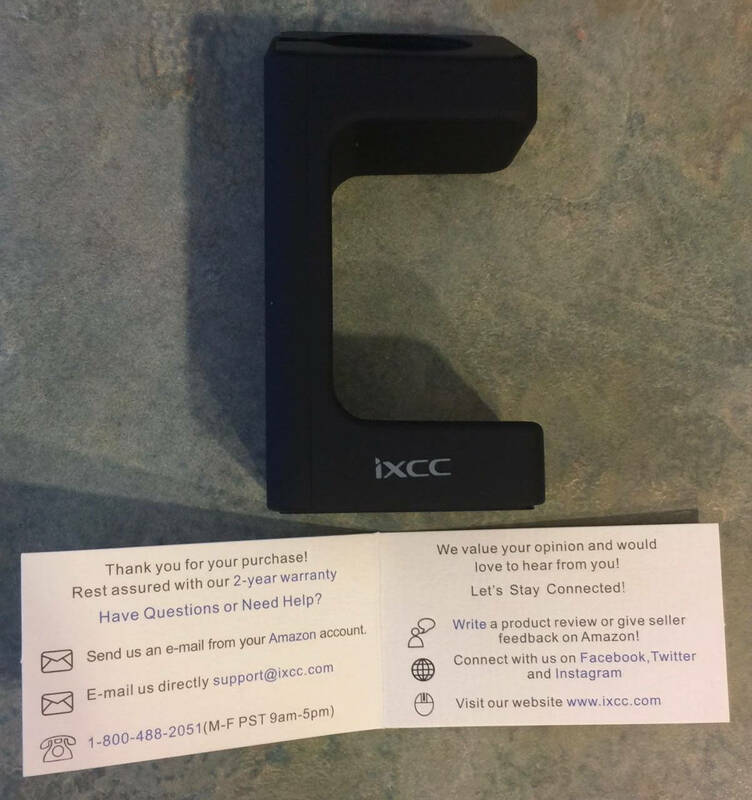 The iXCC Stand for Apple Watch retails for $7.99 at Amazon and other online retailers. 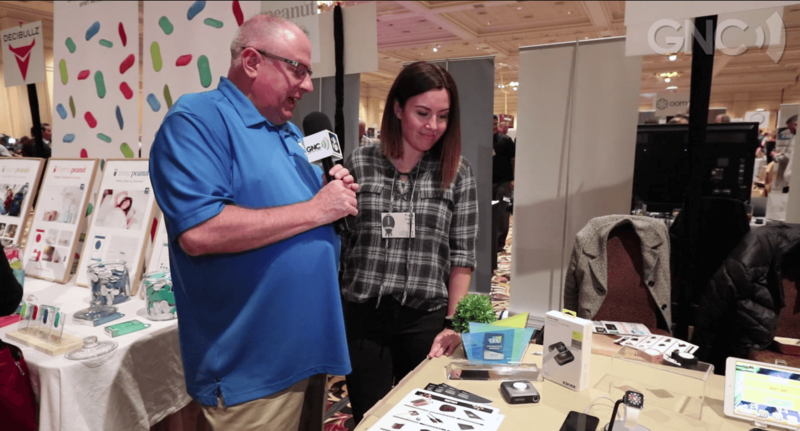 Kicking off GNC’s video production for CES, Todd’s at award-winners Kanex with Tracy, who shows off some of their latest accessories for the Apple Watch. 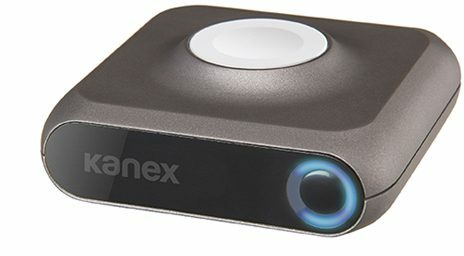 Kanex won a “Innovation Honoree” at CES 2017 for their GoPower Watch, a portable battery charge for the Apple Watch. Priced at US$99 and shipping now, the GoPower Watch will wirelessly recharge a Watch around six times from the 4,000 mAh battery. There’s a USB port round the back for charging other devices too and it’s Apple Certified as well. A mini-version with a smaller battery and smaller price (US$59) is coming shortly. For those who don’t need to charge on the go, Kanex have a table-top charger for the office or beside the bed coming shortly. 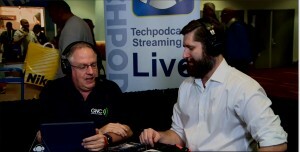 It’s US$59 and will be available in February. Apple Watch: Now with… Windows 95? If the most-often used question when it comes to technology is simply, “Why?,” then the most common answer has to be, “Why not?” That’s what one developer must’ve been thinking when he figured out how to run Windows 95, Microsoft’s cutting-edge mid-90’s operating system, on an Apple Watch. For those too young to remember, Windows 95 was Microsoft’s much-hyped successor to the ever-popular Windows 3.1. Windows 95 was a break from tradition in a few ways for Microsoft. It was the first time the company moved away from its standard numbering system. Instead of calling its newest Windows build simply “Windows 4.0,” Microsoft chose to brand the software package with the year of release. Thus beginning a cycle that would be repeated with Windows 98, Windows ME, Windows XP, and Windows Vista. (That trend was ended with the release of Windows 7.) Windows 95 introduced a few things that became centerpieces of the OS, most notably the beloved Start Button. Most PC’s running Windows 95 at the time of its release were big, beige desktop units that definitely didn’t fit over your wrist. Perhaps that’s a testament to the computing horsepower of modern devices. Even something as small as an Apple Watch has enough power to emulate an entire operating system that used to require (for its time) lots of disk space and RAM. One drawback of this emulation is that it apparently takes about an hour for the OS to be fully usable on an Apple Watch. So, it might not be the best way to relive your fond memories of playing Solitaire and surfing the web on Netscape 3.0. To see the emulation in action, check out this time-lapse video. Where Are The Smart Watches? Queuing for rides at theme parks is a great opportunity for sizing up the fashions of fellow thrill seekers. Everyone docilely shuffles along and the folding line passes lots of people both in front and behind. As a watch fan, I enjoy checking out the timepieces around me and at Disneyland, Paris, there was plenty to see in the warm weather. The wrists of Disney’s guests provided a good selection of horology from Rolexes and Omegas to Tissots and Casios. 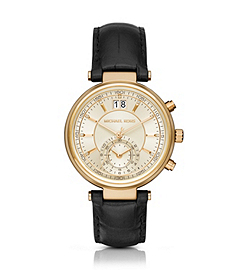 Michael Kors must be selling watches by the truckload: there were probably more of these fashion watches than anything else. What slightly surprised me was the dearth of smart watches. In five days at the House of Mouse and hundreds of people, I saw two Apple watches, one Sony smartwatch and a handful of Pebbles. The Sony owner was next to me at one point and I engaged him in conversation about the watch. He confessed that it had been a gift and he didn’t use it very much. Interestingly, both the Apple watches were on women’s wrists. I’m not quite too sure what to take away from that…perhaps they were gifts too, or perhaps Apple has made the watches sufficiently fashionable and appealing that women will be the leaders here. Or perhaps it was pure coincidence. Where are the smart watches? They’re not at Disneyland, that’s for sure. The use of “assistive devices” is nothing new to Major League Baseball. For decades, pitchers have snuck things like sandpaper or razor blades onto the field to alter the way baseballs reacted to different kinds of pitches. Major League officials have cracked down on these shenanigans over the years, and for the most part, they’re a thing of the past. But the drive to cheat the system will never die. And it’s in this spirit that Major League Baseball banned players and coaches from using smartphones in dugouts during games. 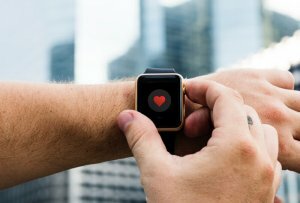 But smart technology is moving beyond phones and into wearables, creating a new potential for team members to access data that might give them an unfair advantage during games. This led to a reported questioning of Kansas City Royals manager Ned Yost, who’s been wearing an Apple Watch in the dugout during games. MLB officials wanted to make sure Yost wasn’t using the electronic device to somehow gather information on opposing teams during games. But in the end, it was determined that Yost wasn’t actively pairing his Apple Watch with an iPhone, meaning the watch was pretty much just… a watch. Aside from being able to tell time, Yost could also get basic weather information thru the unpaired device. That’s it. Overall, this incident was really just a friendly reminder to Yost (and all other MLB players and coaches) that they can use wearables like the Apple Watch during games. They just can’t let those devices communicate with the rest of the connected world. Professional baseball sure has come a long way from the spit ball and the corked bat!